Learn, train, discuss: When the atmosphere is harmonious, the mind is set free. 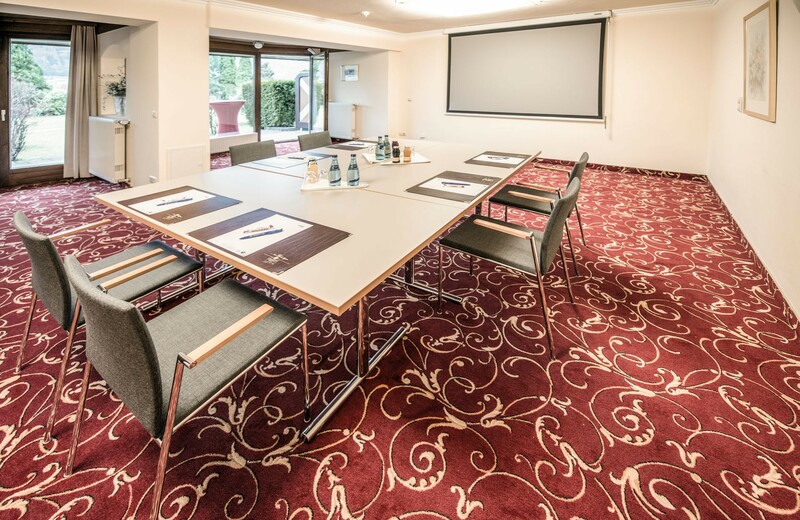 It is our goal here at Ebner’s Waldhof seminar hotel in the Salzkammergut to make your seminar, conference or training course a success. Peaceful seminar rooms and the best possible seminar equipment lead to productive participation and positive results. 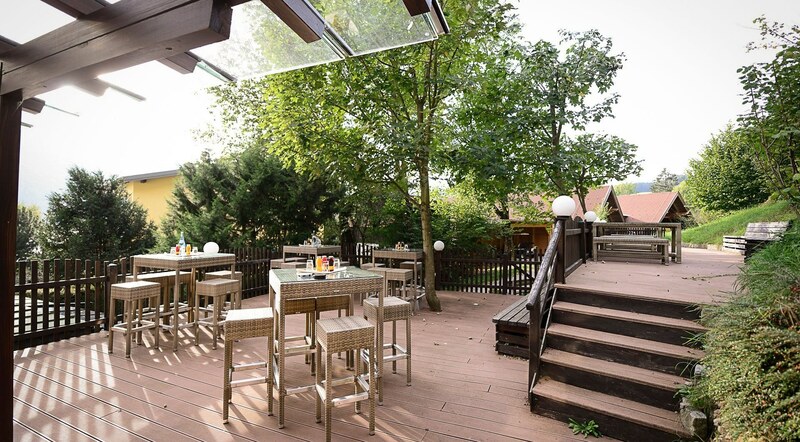 And after a constructive day’s work you will find the perfect counterpart in our fantastic wellness landscape or the splendid Salzkammergut countryside right on your doorstep. When you all need a break? The Waldhof kitchen ensures that you receive the nourishment you need with tasty and healthy culinary treats. To recharge your battery a few hours in the Waldhof Spa with its 4.000 m² of luxury swimming and sauna facilities will do the trick. And in the evening when you sink into your comfy bed, tired yet relaxed, you will fall asleep in the knowledge that your seminar days at Ebner's Waldhof were truly worthwhile. 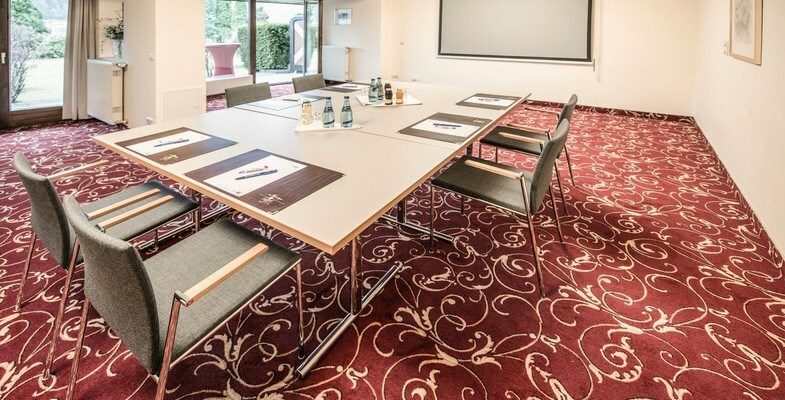 Via an inviting foyer you enter the largest seminar room in the hotel which includes access to a spacious outdoor area. 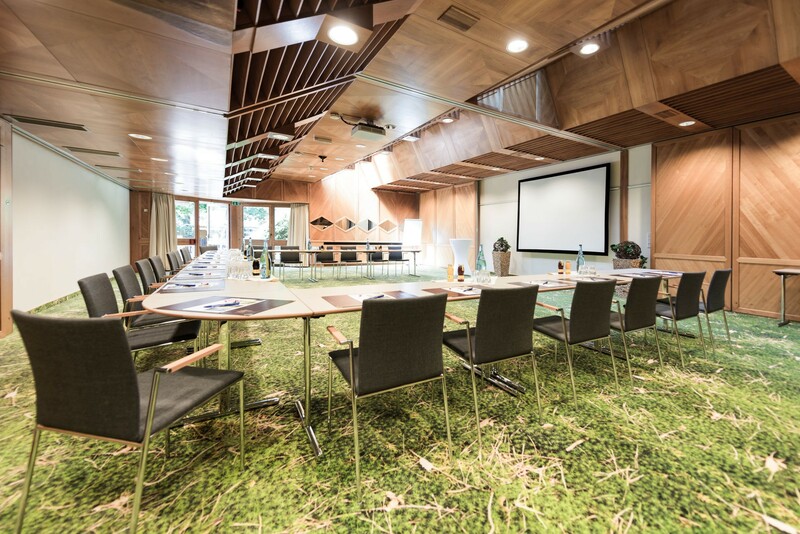 As an annexe to the Wildmoos seminar area you will find our Schober seminar room ideal for smaller group or meetings.It als has access to the peaceful terrace. 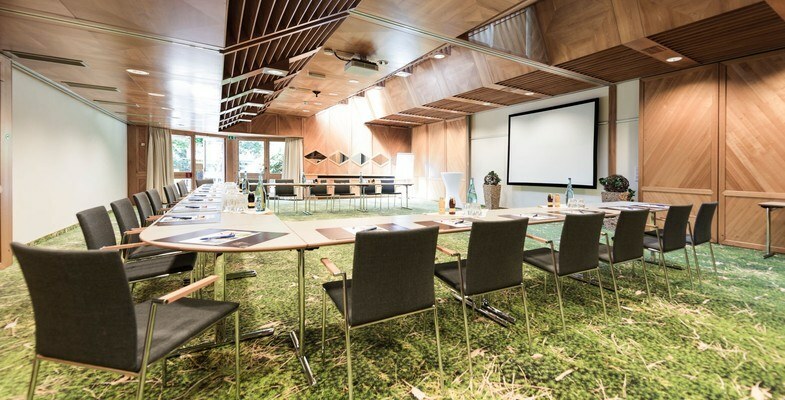 With its traditional Austrian flair, the Jagdstube offers seminar attendees the calming and comfortable ambience needed for constructive thought with a fantastic view of Lake Fuschl. Access to a beautiful and well-kempt garden lends this charming seminar room character. Drinks will be charged according to consumption. Have we managed to arouse your interest? Please contact Melanie Sommer, our seminar appointee, who will be happy to put together a tailor-made seminar package for you. Contact her personally under: m.sommer@ebners-waldhof.at.